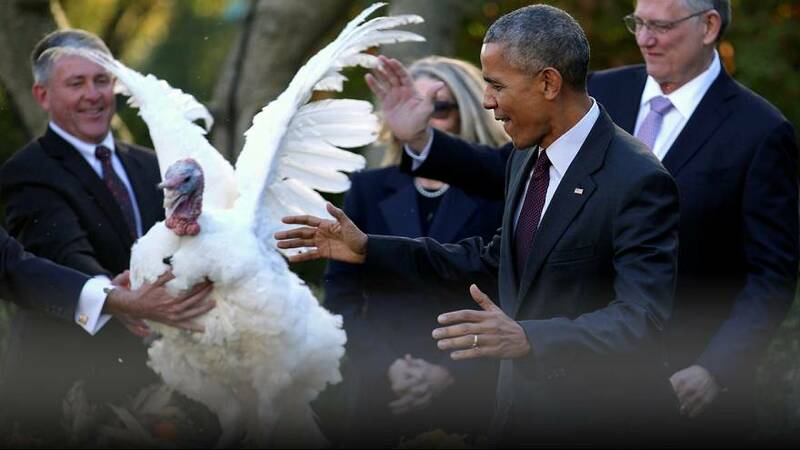 Barack Obama has begun festivities for his final Thanksgiving as the US president with the annual Turkey pardon. This year, Tater and Tot, both 18 weeks old, were saved from a trip to the slaughterhouse. While only one was designated the official National Thanksgiving Turkey, both will be sent to Virginia Tech research university to live out their lives in peace. Amid turbulent times in the country, the outgoing president used the occasion to remind the nation of the need to stay united. This year, instead of his daughters Malia and Sasha by his side, Obama invited his two nephews for the annual turkey pardon and the usual ‘dad joke’.